Check out our new barn! Pick up a few plants for your garden or deck-containers. We have three new colonies of bees just installed in our orchard. Learn about how they got here, how they are settling into their new home, and how they are different than most bees around. See your future salad growing. Join us for a guided tour at 2:30 and learn about how we operate as a Certified Naturally Grown farm for biological soil health, excellent food flavor, plant health, and human nutrition. 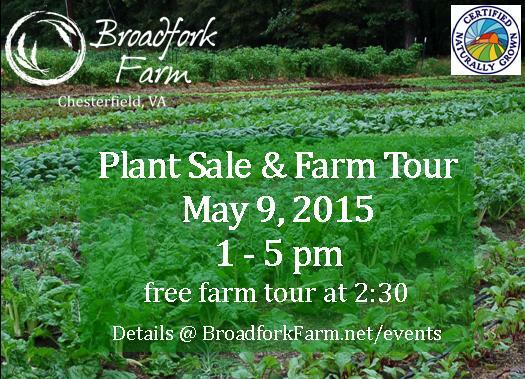 Relish in the company of farmers, farm children, fellow organic farm and food lovers. 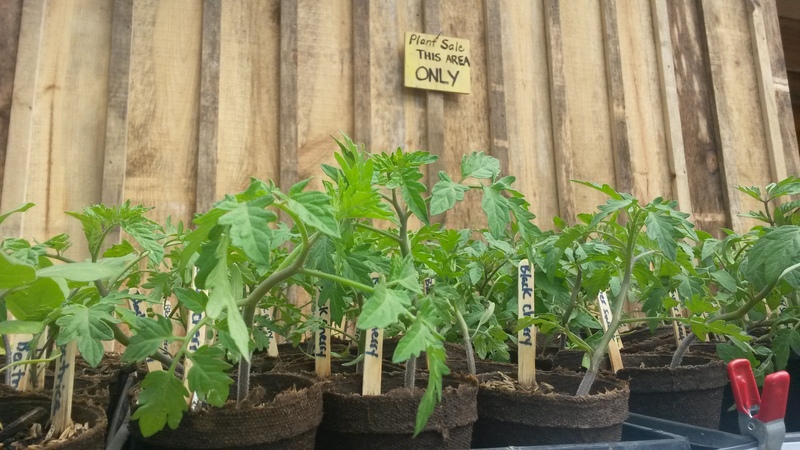 Until then, plant sales continue on the farm each day, 9am-5pm, self serve, honor pay. Driving directions to us are found on our website. We will be at two markets this weekend (Brandermill Green Market, set up in the parking lot of Market Square, intersection of Rts 288 and 360, and the South of the James Market in Forest Hill Park). Recipe Suggestions: We made a simple Radish salad this week, similar to this recipe, but without the raw onions. They are delicious sliced and tossed with olive oil, vinegar, salt, and pepper. Perhaps some honey too if you wish. We were also in the mood for thai, so we made two Spicy Thai Noodle soups this week – found here and here – and added our garlic scallions, kale, and spinach to them both. The amound of spice you add is up to you, and you can sub beans or tofu for the chicken that it calls for. Arugula is fantastic with goat cheese, a honey balsamic dressing, and some pecans. 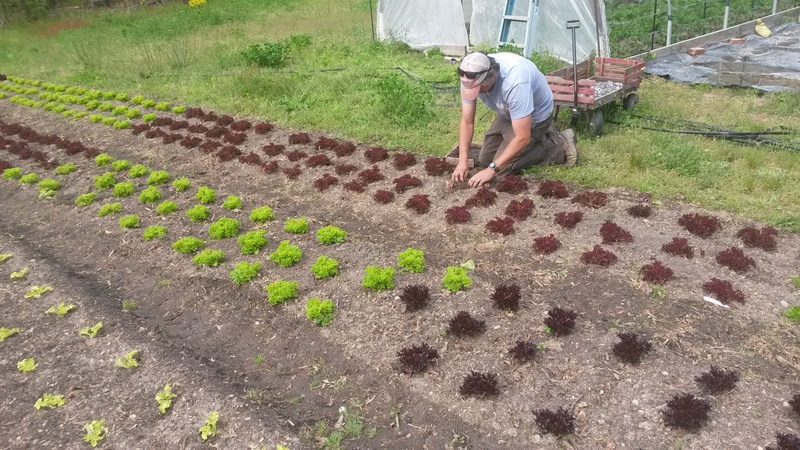 Same for our lettuces! 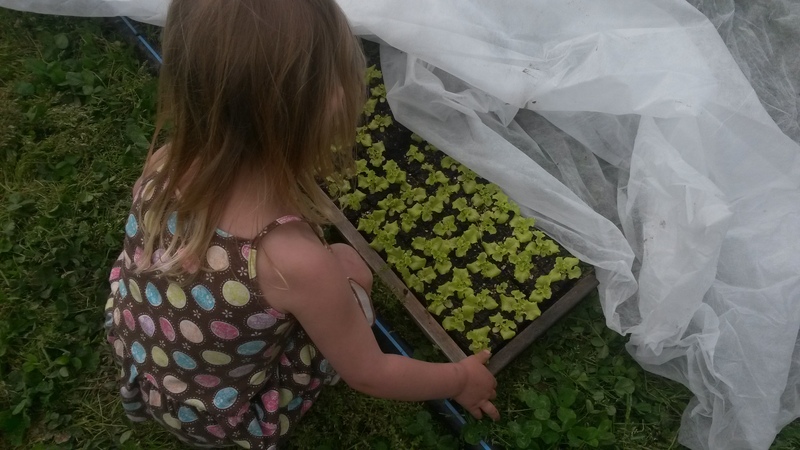 Available for Market Share CSA members to choose from this week: Arugula, Chard, Garlic Scallions, Kale (red russian), Little Gem lettuce, Microgreens, Radishes, Salad, Spinach…and Pepper Jelly, Fermented Jalapenos, naturally leavened Hearth Baked Bread. PLUS Plants: Basil, Parsley, Broccoli, Tomatoes, Eggplant (variety details on ordering page). 2015 Market Share CSA Members: Reserve your selection online to pick up on Saturday,May 2 at our farm, at the Brandermill Green market, or at the South of the James market.